Meeting someone I only see on TV commercials! I need to come clean. I need to be honest. I need to be straight with all of you. It’s hard…very hard to admit. Breathe. Stay calm. O.K., here goes…I’m obsessed with reality TV. Ah! There I said it! Are you obsessed with reality TV, too? My obsession started innocently enough with the Iran Contra hearings in the late 80s. Yes…I know that sounds very weird…but I was absolutely engrossed in the televised hearings. I watched Oliver North and other government types grilled by Congress in gavel-to-gavel coverage on C-Span between shifts of my summer job in the late 80s. I watched the Menendez brothers and O.J. Simpson murder trials in the early 90s on Court TV, which is now truTV. There’s something compelling about knowing the most excruciating details about a reality TV star. Now that I have Verizon FiOS® Custom TV I am up to my ears in reality TV shows. Me and a couple of the earliest reality TV stars. 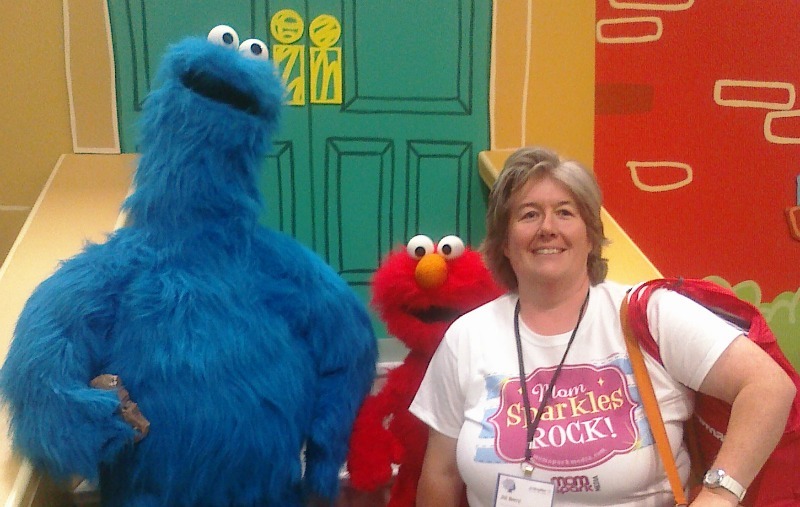 I loved following the happenings of Cookie Monster and Elmo on Sesame Street! My interest in people and their goings on wasn’t only limited to trials. I was also one of the earliest adopters of the show that sparked the reality TV trend: Real World on MTV. It should come as no surprise that I was RIVETED to the TV for each Real World episode. Talk about being a “fly on the wall”! Did you watch? And of course I had to watch all the episodes of Big Brother on CBS in the late 90s. Now that show was the ultimate “fly on the wall” show! I never got in to the reality TV dating shows, like the Bacehlor and Bachelorette or the competition shows, like the Amazing Race or Dancing with the Stars. I still watch American Idol. Now that I have Verizon FiOS® Custom TV, I watch ALL the reality TV shows. As many as I can watch and more! After a hard day of work, carpool, there is no better release than plopping down and watching a few hours of mindless reality TV. Recently I had a three family reality TV viewing sessions with Verizon FiOS® Custom TV: with my teen daughters, with my husband and tween son, and by myself. 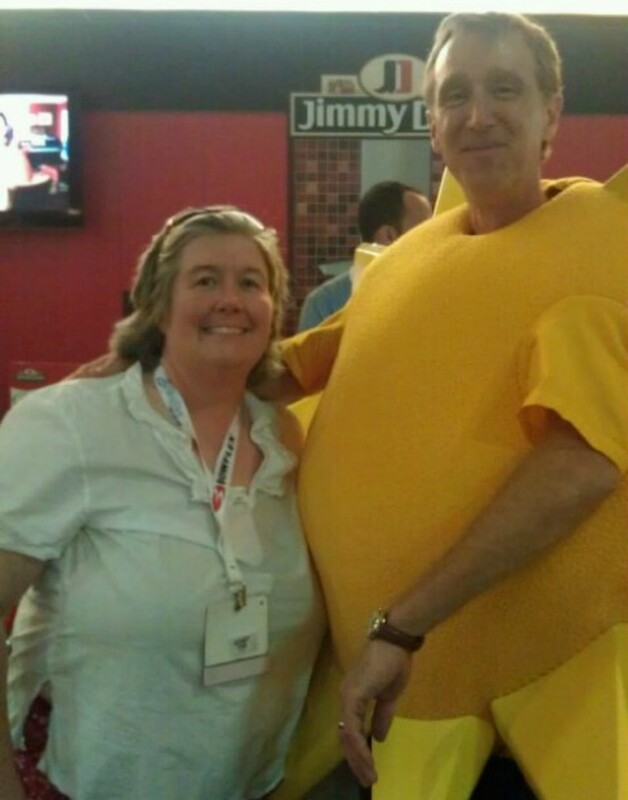 We all found so MANY shows that we could watch together with Verizon FiOS® Custom TV! 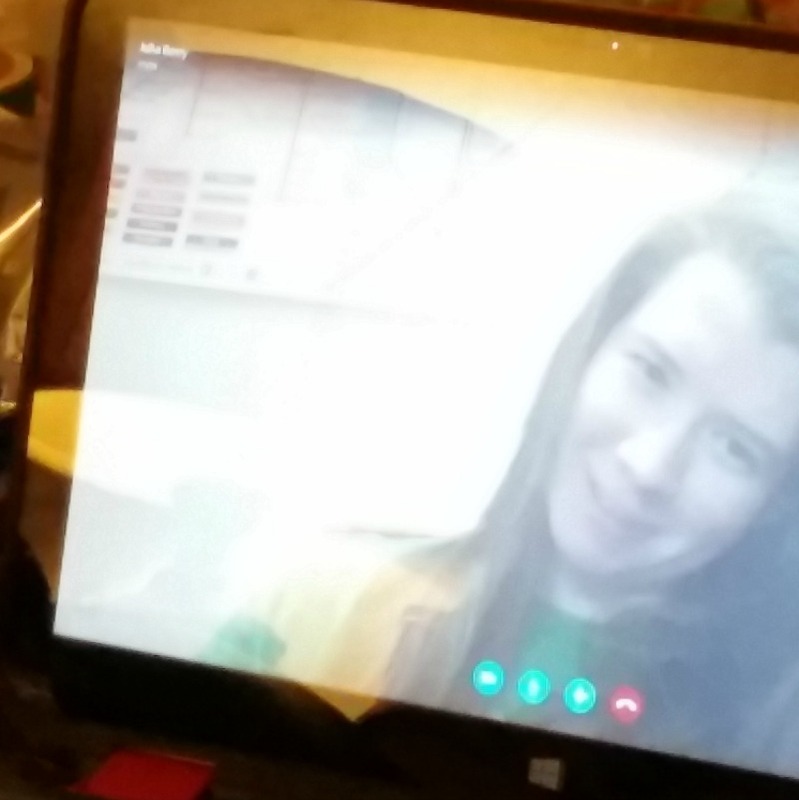 Skyping with my teen was the next best thing to seeing her. She loves college, but we really miss her! Since my older teen came home from college after her freshman year and my younger teen completed her junior year of high school, I now have people to watch reality TV shows with!! My husband and tween son only have a few shows that they will watch with me. The teens and I watch Top Chef: Last Chance Kitchen on Bravo. I’m not a cook, but I am a foodie. I love seeing the contestants sweat it out to make a dish that the judges will love. Will the chefs get every ingredient on the plate?! We also love Chopped on the Food Network. Those baskets of mystery ingredients on Chopped are so random, yet the contestants always create such amazing dishes. Master Chef on Fox is another nail biter of a food competition entertainment show. 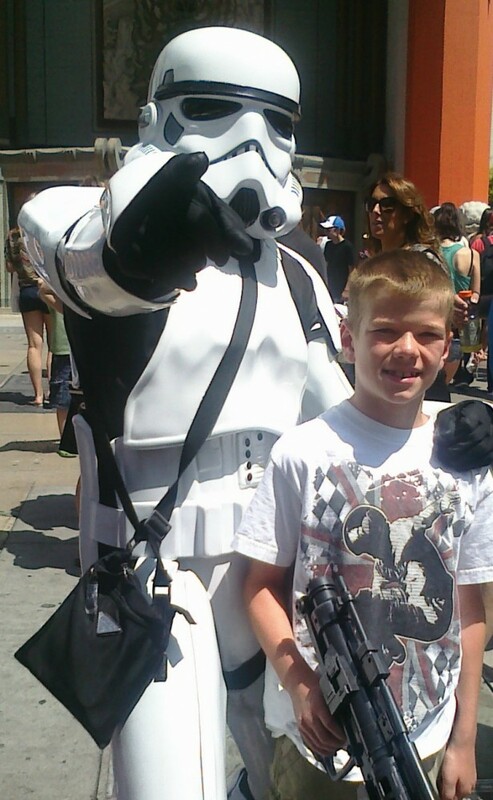 Ready to sign up for Storm Trooper school! My husband and tween son are not so much interested in reality TV shows unless it is Mythbusters, Alaskan Bush People, Gold Rush or Storm Chasers on Discovery Life or Brain Games on the National Geographic Channel. Another type of show we like to watch is are shows about how things are made. A couple of favorite shows are How It’s Made on Discovery Science and Food Factory USA and Food Factory on FYI. How It’s Made is part of the News & Info Verizon FiOS® Custom TV Channel Pack. The FYI channel is in one of the customizable Lifestyle Channel Pack. Cruising down Rodeo Drive. Window shopping at its finest! While my children and husband watch more regular TV programming, I am content to watch reality TV. I immerse myself in shows that are crazy and absolutely ridiculous. 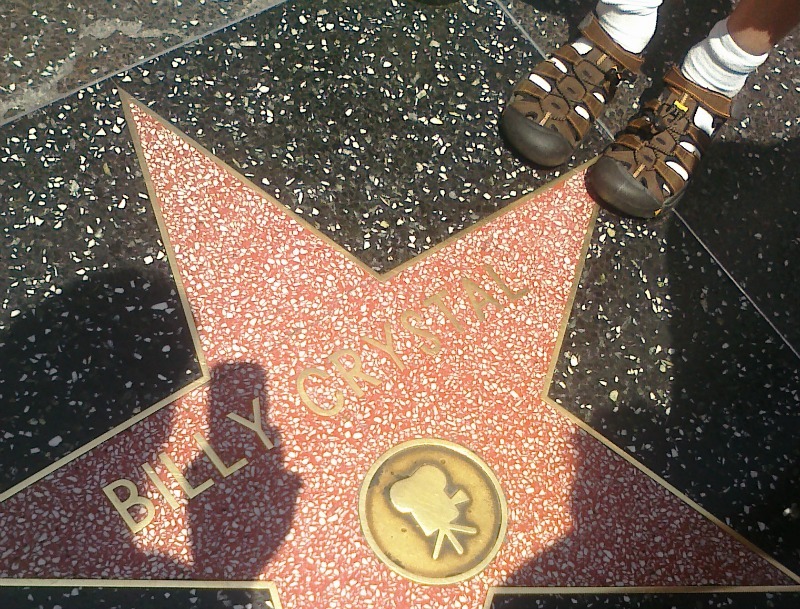 Watching shows like Million Dollar Listing: Los Angeles on Bravo reminds me of our family trip to Southern California. 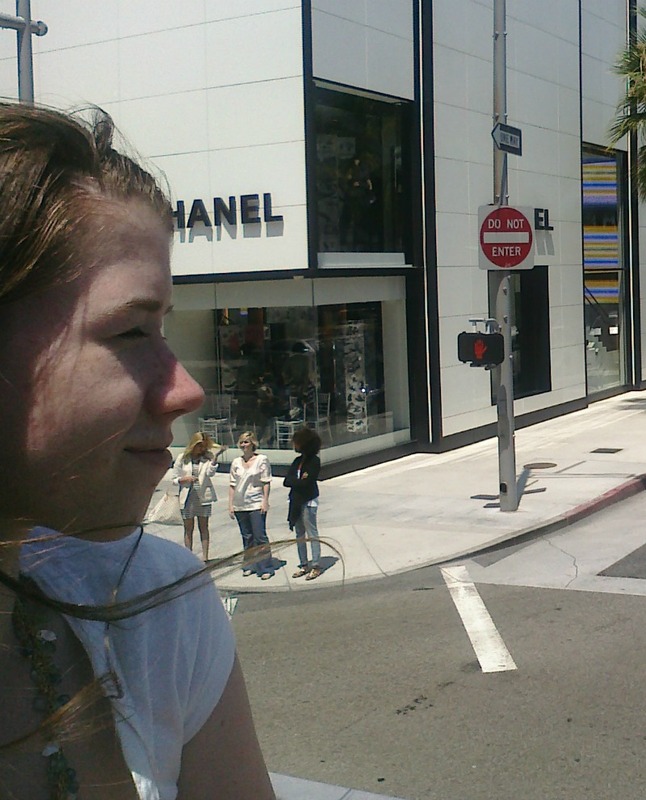 We took a bus tour of Hollywood, Los Angeles, and especially Rodeo Drive. My teens LOVED window shopping at Chanel, Versace, and so many elegant stores. And then they are the outrageous “friends drama” reality TV shows that I tell myself I will stop watching and then before you know it I am watching another episode. I get sucked back in after each episode. I can’t quit! Watch What Happens Live…I have to keep up with all my reality stars, right? 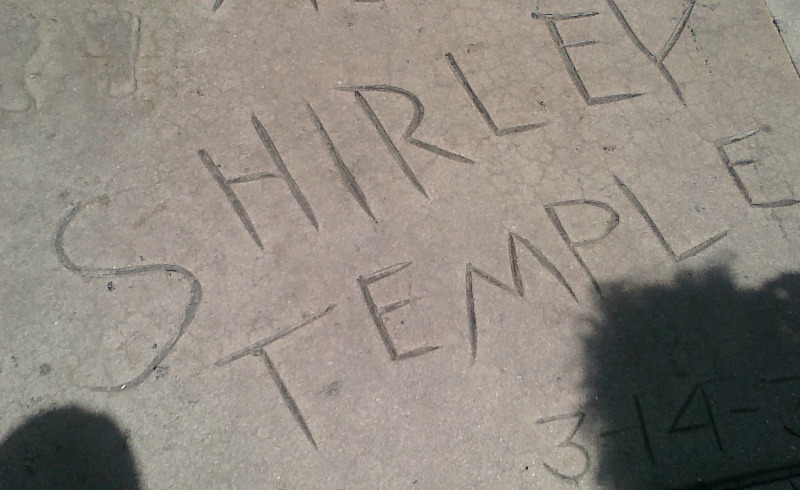 Finding the stars’ handprints and footprints in Hollywood! Phew that’s quite a list, isn’t it?! I definitely am getting my money’s worth out of Verizon FiOS® Custom TV Base Channel Lineup and Custom Channel Packs! I am also thoroughly enjoying my second Verizon FiOS® Custom TV Channel Pack: Entertainment. The Entertainment Channel Pack includes: TBS, FX, USA, TNT, WGN American, Syfy, truTV, and more! Verizon is offering customizable TV package – called Verizon FiOS® Custom TV— for both new and existing customers. Customers select a package comprised of a Base package of 36 pre-selected channels, plus local broadcast channels. You select only the channels you want by choosing at least TWO Channel Packs out of a choice of SEVEN. If a customer chooses a Base package plus two Channel Packs, the price is $54.99 (standalone). If the customer chooses to add additional channel packs beyond the first 2, they are just $10 each.